Nothing better to add some sweet to your life then cookies. For example my nutella cookies with coconut, delicious flavor of chocolate with hazelnuts and coconut, which is an incredible explosion of taste in your mouth. Completely different and delicious, a combination that you did not expected. These cookies are ideal for preparing ice cream sandwich, or with a good cold glass of milk. 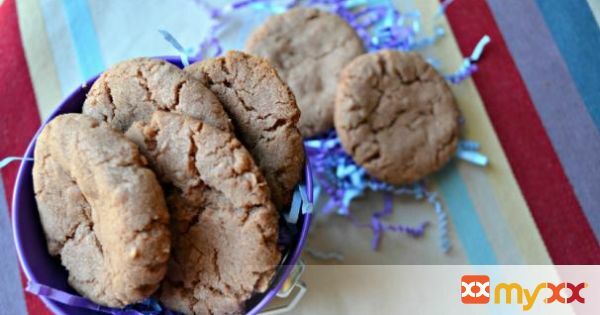 Either way they are delicious, the most important thing is to prepare them and enjoy and these cookies will be a hit at home. Enjoy it. 1. Preheat oven to 350 degrees F (176 degrees C). 2. Cream butter with sugar until it turns a light yellow, add the Nutella and coconut extract. In a bowl mix flour, baking powder, pinch of salt and grated coconut, add to above mixture. 3. Beat until mixture forms a ball, about 3 minutes. Roll into balls and place on a tray, bake for 10 minutes. 4. Once they are ready, place on a rack to cool completely, store in an airtight container.